Food manufacturers will need to reformulate or respond to the U.S. Food and Drug Administration's announcement that partially hydrogenated oils, are not "generally recognized as safe." Partially hydrogenated oils (PHOs) are the primary dietary source of artificial trans fat and have been used in some processed foods. While the FDA commended food manufacturers on their efforts to voluntarily decrease the levels of trans fats in their foods, it cautions that, if finalized, PHO's would be considered food additives and would require regulatory approval for future use. 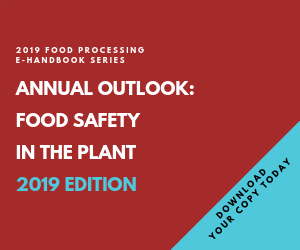 The FDA has opened a 60-day comment period so that food manufacturers can report how many – and how much – of their formulations still contain PHO's. The comment and submission period starts November 8, 2013. Comments can be submitted electronically to the FDA docket. Erin Erickson is the digital development manager of FoodProcessing.com. Email her at eerickson@putman.net or check out her Google+ profile.